Submitted by Aaron Beard (not verified) on Thu, 03/28/2013 - 15:39. Thanks for putting this up! It is still there despite the City's stated intention to remove them. I purchased this for my parents as a gift (it is on the corner of the street I grew up on) and every time I see it it makes me smile! 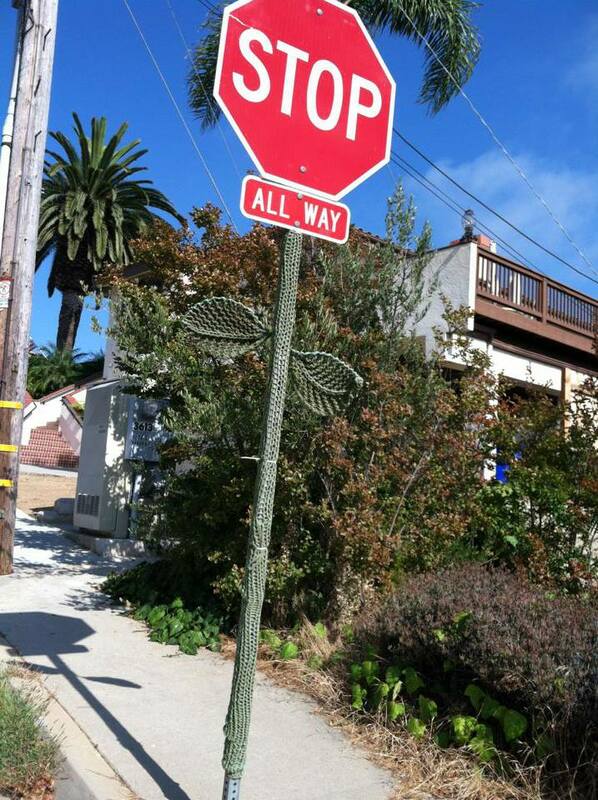 Submitted by knitting guy on Thu, 04/11/2013 - 06:15. Yeah, whenever I drive down clairemont dr I look for it, and it makes me smile, too. I am surprised it is still up. Your parents are lucky! Submitted by Wendy (not verified) on Mon, 07/29/2013 - 09:43.